It’s been over a year since we started offering the service of complimentary baby portraits for clients; hooray! Thank you to all the moms, dads and reluctant children who took the time to come by the Center and let us capture a moment in your families lives. In honor of the anniversary, we wanted to take this time to give some tips for those who have yet to cash in on their free photoshoot with these 5 tips. The best time to photograph newborns is in the range of 2-10 days, old but for sure before 2 weeks. With that in mind, it’s best to call and schedule an appointment when you have an accurate due date or right after the baby is born. 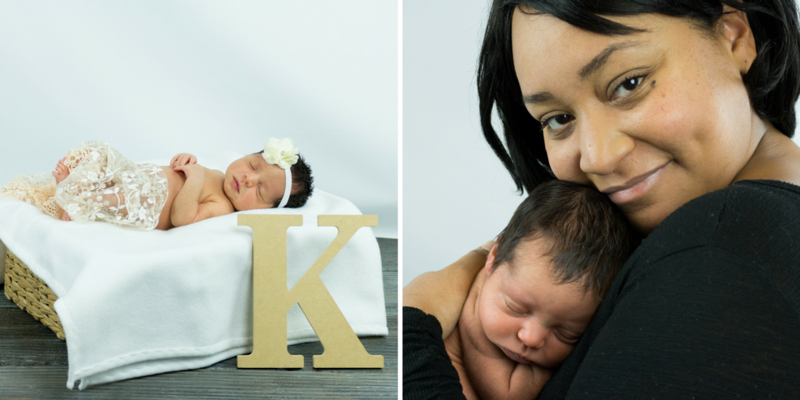 If you already got pictures taken or aren’t looking to do newborn photos, there are several other milestones to choose from. Typically, the best ages to photograph your child is when they’re newborn, 3-4 months, 6 months, and 1 year. Clients may choose from any one of those milestones for your free portrait session. Try to pick a time of day that works best with you and your child’s schedule. Making sure everyone is fed and well rested before the photoshoot is crucial. If you are bringing older children to the shoot, they may benefit from a bribe to help them smile. If it’s helpful, we have a candy stash in the front office for such occasions. Since attention spans can be low, we aim to keep the sessions at 30 minutes or less. Questions to ask yourself when scheduling: Is this during their normal nap time? Are they going to be hungry? What else is going on that day that might interfere with making it to an appointment on time? Feel free to bring items unique to your child or family from home. Our time may be limited, but we will do our best to get your priority pictures taken. 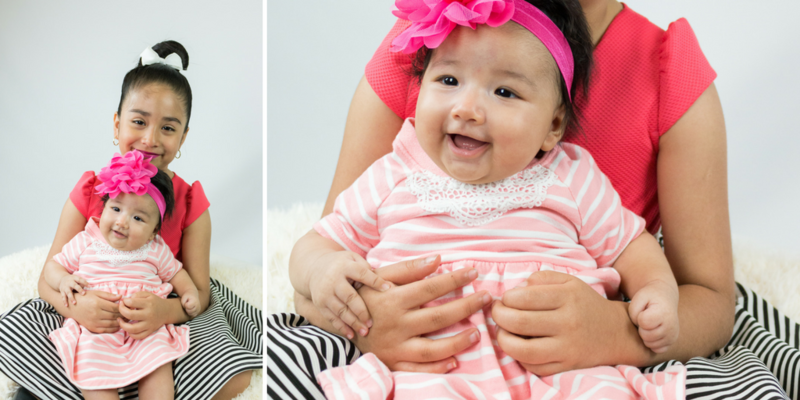 If you find yourself in a time crunch or are looking to save some money, you can choose from our selection of bows, hats, & wraps for your baby. Popular items to bring: special blanket, baby’s initial, month stickers, headbands, tutus, props specific to one year. If you’re going to be taking pictures with your newborn, wear solid colors that match your skin tone. It provides a nice backdrop to their frame. Things to keep in mind, darker colors tend be more slimming and our current backdrops are a white screen and a wooden fence. If you’re taking pictures with the family, coordinate the colors amongst all members. This is not the same as everyone wearing a white shirt & matching. Pick a couple colors and find clothes that fit the palette. It might take a little more energy in preparation, but resist the urge to let kids wear a shirt with characters (ie. Finding Nemo). And no hats dad! Think classic and timeless for your clothing and opt for one person with a texture or one or two people with a pattern instead. The end goal is for no one person’s outfit to be distracting from the final image. An accessory like a necklace or a tie might also help add some color and fun to your shoot. Above all, we want you to feel confident and beautiful, so wear clothes that make you smile! We’re well aware that things happen in life you can’t control: kids acting up, sickness, weather etc. If anything comes up between when you schedule the appointment and it’s arrival, let us know and we can easily reschedule. This point also goes for time in the session. We can plan all day, but in the end, kids will be kids. Don’t be stressed if they’re uncooperative. We will work with the time they allow and can always reschedule if we don’t get at least 10 good pictures. Now what are you waiting for?! Clients call today to schedule your free baby portrait session.